sure you'll be able to work with these. Thanks! To use templates you will need Microsoft Word installed. For users without Microsoft Word, an alternative is to use templates for Acrobat Reader. 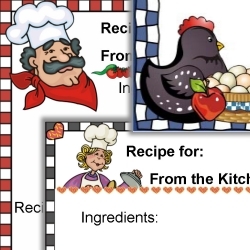 This CD includes over 200 templates for Acrobat Reader. 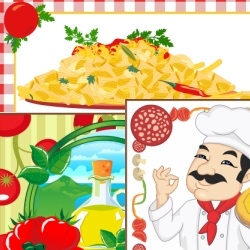 All recipe cards are unlined. 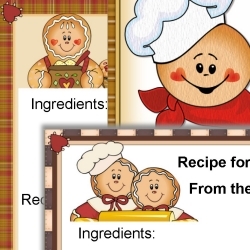 For best results use white card stock (8 1/2" by 11" or A4) and trim away white areas from each card. 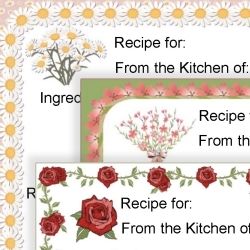 Kitchen Keepsakes, That's Italian, Cooking 1, Cooking 2, Winter 2, Gingerbread and Floral Collection, comes in both 3"x5" and 4"x6" recipe card sizes as well as 6"x5" and 8"x6". 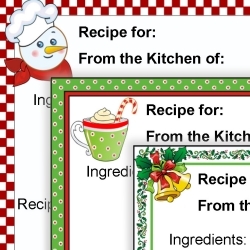 These are large recipe cards that are double in size and leave lots of room for writing. The rest of the card templates below are only available in standard sizes 4"x6" and 3"x5". 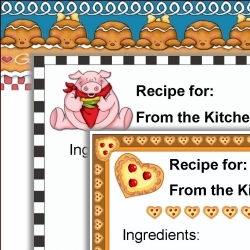 Recipe Card Templates will be sent on a CD. Only $24 You save: $76.86! 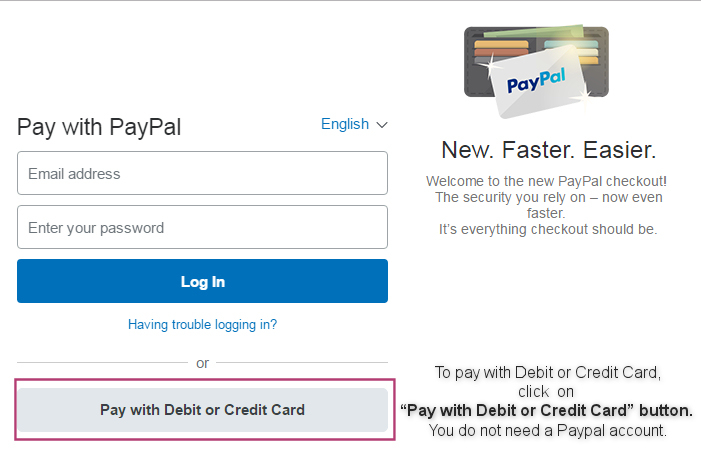 please click on "Pay with Debit or Credit Card" button.